Intended for the Bravo Three XR drive and can be used with the Bravo Three and Bravo Three X drives. A large diameter 4 blade forward propeller followed by a smaller diameter 3 blade aft propeller featured built-in cup for incredible handling, improved fuel economy at cruise and boat control. 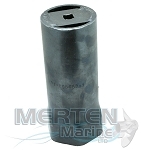 The even pitch is made from the odd pitch casting; Mercury Racing adds additional cup for increased holding. The Pro Finish provides a performance leading edge, consistent matching cup heights, zero balanced for minimal vibration and durable high luster finish. 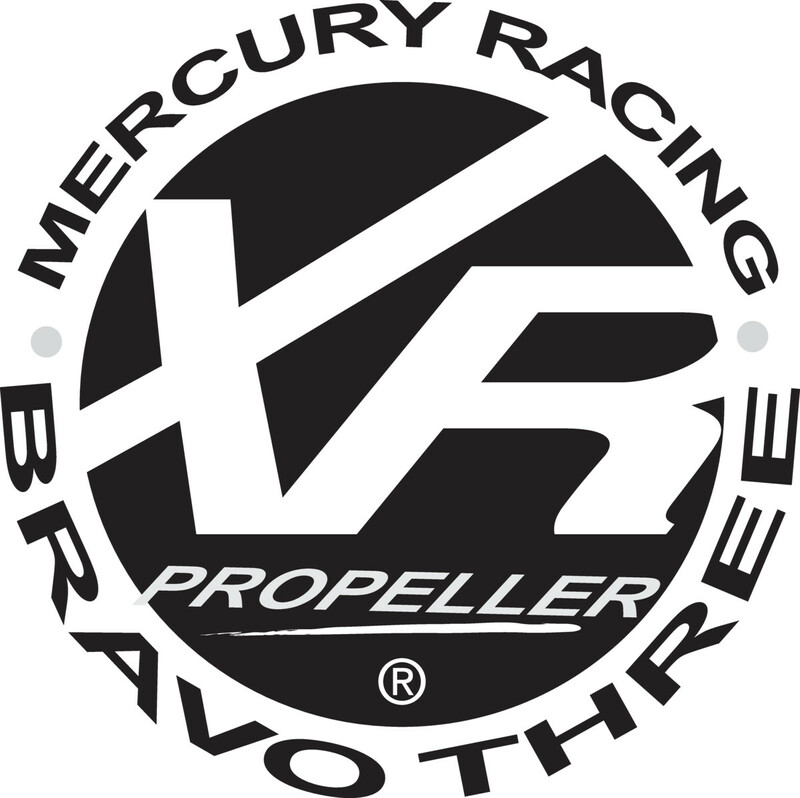 As a general rule, the odd pitch numbered Bravo Three XR propellers run similar engine RPM to the next higher pitch even numbered Bravo Three propellers. 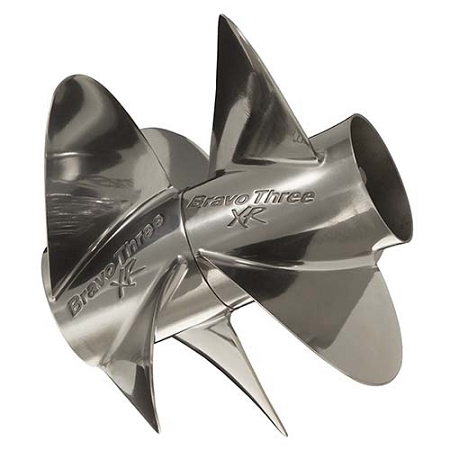 For example, the Bravo Three XR 27 pitch matches the RPM of a Bravo Three 28 pitch.